If you have a Facebook account, express your feelings to people you appreciate and your family is easier these days. Through this network , to communicate with them simultaneously and to express how happy you are to have one more Christmas is easy, you can post messages related to Christmas to your loved ones or update your status with a sentence about the holidays. 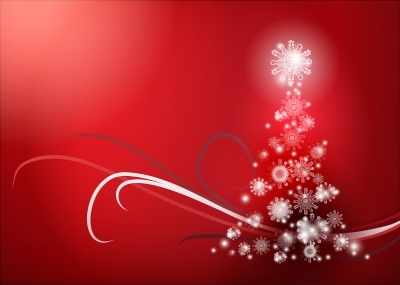 Do you want to write a beautiful Christmas message to update your status?. If so this list will help you, because we have prepared a list of phrases that you may like. Choose the sentence that most impress you and update your Facebook status, in that way you can make known your feelings to others for Christmas. -I have a happiness that cannot take out of my face, as at this date, all that is in my heart is joy. Merry Christmas to all my friends. -I have a heart that beats fast because of the joy of the born of Jesus on earth, while all the world’s children will be singing carols in the form of tribute. I wish you all Merry Christmas. -The most awaited time of the year is Christmas, as it gives me joy to know that I will share the family dinner. I love going out to see the fireworks in the colorful sky and I feel cheerful and eager to tell people how much I love them. May all people of the world have a Merry Christmas. -The best celebration of the year is Christmas because I receive love from my family and friends, if you think so click I like it. -To make your Christmas memorable, share something you have with someone in need. And you will see that you have the best Christmas ever. People would have a spirit of joy at the birth the baby Jesus. Merry Christmas to all my dear friends. -When midnight arrives we all will embrace wishing Merry Christmas to each other, but imagine how wonderful it would be if we kept this feeling for each one of our loved ones every moment of our lives, click I like it if you agree. Happy Christmas. -Before seeing the fireworks and greet my family, I will go and sit in front of the image of the child Jesus and will pray to be filled with peace and love, Merry Christmas. -In only a few hours , we would wish everyone a beautiful and happy Christmas, be happy wherever you are and feel happy to have your families by your side. Happy Christmas. -Let’s Forget everything bad that stayed behind and removed from our minds those problems that bother us daily, it’s Christmas day, all that should matter, is to give our love to all our loved ones and family. We hope you would like these messages for Facebook and we assure you that many of your friends will give I like it to many of your posts.